What direction are you headed? 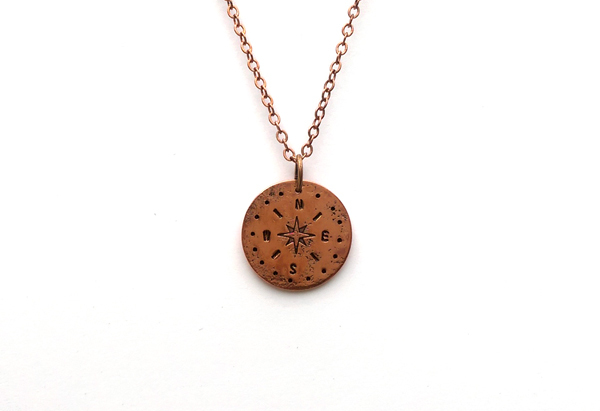 This compass necklace is a great symbol of where you are going and how you are getting there. Is your life one big adventure? Need a reminder to always be guided by your true north? This necklace is perfect for you. These compass necklaces are individually hand stamped with this original compass design using multiple letter and design stamps, drilled, cut, and sanded. The copper disc is 0.75″ and hung on an 18″ copper coated brass chain. Find a matching compass bracelet here.